The Flywheel FLEXXOR is the ideal option for applications that require a flywheel coupling. 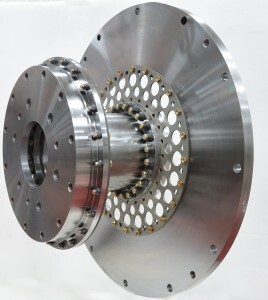 It is designed to bolt on to any standard or custom flywheel. The other end of the coupling can connect to a flange or shaft, with the most common connection method being the Anderson Clamp Hubs. In cases where torsional stiffness is important, the design can be easily tuned to increase or decrease the torsional spring rate as needed. The Flywheel FLEXXOR is designed as a drop-in replacement for most standard flywheel coupling designs. If you would like a replacement matrix to help know which FLEXXOR size will replace your existing model and size, contact CouplingCorp. The Flywheel FLEXXOR coupling has more flexibility and lower spring rates, which, as a result, provides smoother running conditions for the bearings, seals, and rotating equipment in the system. 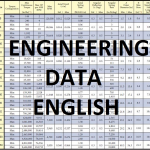 For specific engineering information, such as torque limits and dimensions, see the Engineering Data sheet link on this page. If you need a custom flywheel designed and manufactured, CouplingCorp can help with that as well. See our page on the Anderson Flywheel Mount to see a simple, efficient way to connect a flywheel to a shaft. This device eliminates the need for heat and hydraulics when trying to install heavy flywheels with tight shaft fits. For specific information on different Flywheel FLEXXOR options, contact CouplingCorp.